Those who saw clown Dimitri performing with Circus Knie (the Swiss national circus) in the Seventies have never forgotten him. For those who did not have the pleasure of meeting him, an experience at the Teatro Dimitri in Verscio, a picturesque village located just a few kilometres from Locarno, is the perfect opportunity to understand the magical universe and the art of one of the most famous clowns of modern times, who died in 2016. This, not only by watching a performance where you might meet the artists, before or after the show, but also by visiting a small museum and two exhibitions. Dimitri was born in Ascona in 1935. As a child he was exposed to the vibrant cultural life that at that time distinguished Monte Verità, the hill of utopian ideals, where he lived with his family. His father was an artist and sculptor, his mother created objects made from cloth. At the age of seven, captivated by the art of Andreff the clown, he realizes that for him “making people laugh is the best thing in the world" and, further inspired by Grock (1880-1959), considered the most famous clown of all time, he chose to become a clown. His repertoire was both charming and subtle: not only did children love him, but he managed to reawaken the hidden child that exists within each adult, making his public smile and laugh while at the same time moving them profoundly. After studying with Etienne Decroux and Marcel Marceau in Paris, in 1959 Dimitri performed for the first time in Ascona at a tiny puppet theatre, which overlooked the shorefront of the town and no longer exists. As his popularity increased, he began touring the world to bring his art to the public at large. In the Seventies, he performed for three seasons with Circus Knie, earning extraordinary success throughout Switzerland. His fame grew and he became an internationally acclaimed celebrity. In between tours, he performed at his theatre in Verscio, a venue just a short distance from Locarno, which he had founded with his wife Gunda in 1971. Over the years, the Teatro Dimitri was enriched by the addition of a theatre school, offering a degree in Physical Theater (recognized at federal level), a small Museum of Comedy, a clown park and an exhibition on the history and world of clowns. Dimitri died on July 19, 2016. 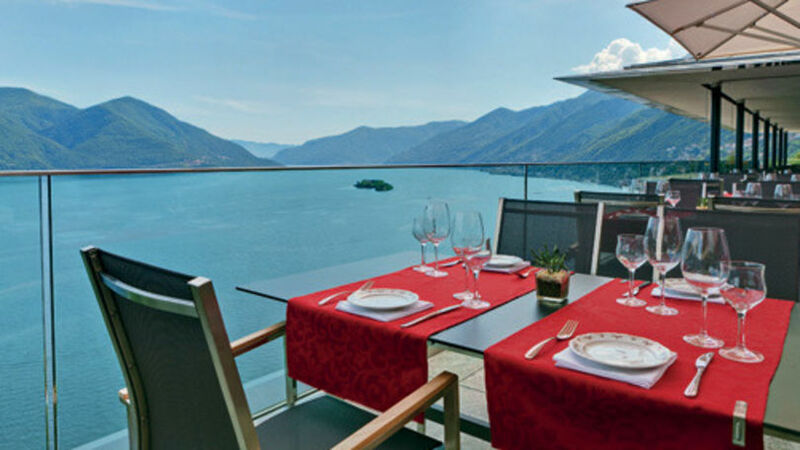 The evening just before his death, he was still playing in the show named "Dreams of Another Life" at the Monte Verità of Ascona. His wish would have been to dye on the stage and he narrowly missed it. Each year, Teatro Dimitri presents a range of theatrical events. The playbill features guest artists and productions by the Accademia Teatro Dimitri and its former students. 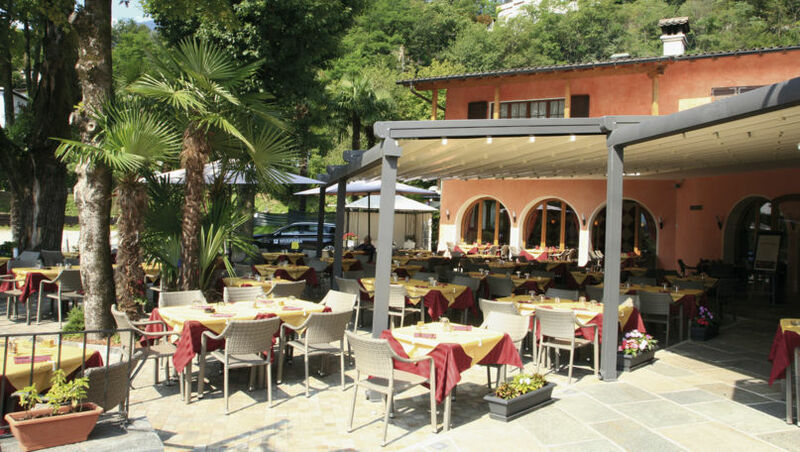 The theatre’s picturesque restaurant, with seating both inside or in the venue’s charming courtyard, is open from 5pm to 12-midnight during performance days and offers a range of Ticino specialties served by students attending the school. When the shows end guests are greeted by the artists, who have just finished performing. The Comedy Museum (open from 5pm to 12-midnight) is located on the first floor, above the restaurant and features an exhibition of objects collected by Dimitri during the course of his career, which are related to the world of the clown. The entrance is decorated with posters of his two revered masters, Andreff and Grock. The first room is dedicated to the elephant, Dimitri’s favourite animal, and boasts a collection of posters from all over the world. Images of one of his most famous, elegiac performances dating back to 1970 shows him posing with the elephant Sandri in the ring of Circus Knie. The second room features all types of musical instruments, another of Dimitri’s great passions. In fact, music has always played a key role in his art. White and all the shades of red used in classic clowns’ costumes, highlight another room from which visitors can access the room dedicated to masks. There, films of the clown’s most iconic performances are screened. As many as 700 objects are displayed throughout the exhibition, which was curated by Dimitri’s great friend, the well-known art historian Harald Szeemann, who, in the Eighties, ‘rediscovered’ Monte Verità. 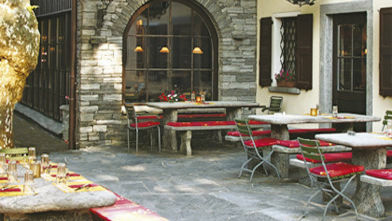 The basement area of a charming 19th century Ticino house, located just a short distance from the theatre, houses an exhibition dedicated to the history of the art of clowning. In the corridor at the entrance, 12 panels display the development of the figure of the clown over the years. The central part is dedicated to Grock, “the king of clowns”, an important influence on Dimitri’s art. The exhibition, curated by one of Grock’s great grandchildren, displays his musical instruments, an array of evocative images, rare documents and objects as well as a film documenting one of the great artist’s performances. In addition to the section dedicated to Dimitri, the museum pays homage to other famous Swiss and international clowns with billboards and short films. On exiting the museum, guests will find themselves in a beautiful garden. Built within the confines of the historic centre, and overlooking the sacristy of the church of Versico, it hosts a variety of sculptures by contemporary artists, also dedicated to the world of clowns. If at the end of your visit you find that you have fallen in love with this magical world, you can sign up for one of the 5-day courses held at Easter and in summer. The courses are open to everyone, old and young alike.